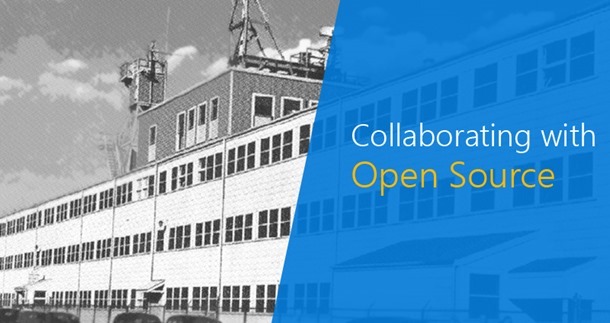 Innovation through collaboration is a key theme in the open source community. Today this collaboration takes place everywhere, regardless of geographic and cultural borders. But long before long-distance collaboration was feasible, an interesting example of interdisciplinary collaboration and innovation took place somewhat by accident—at the Massachusetts Institute of Technology (MIT) in its now-famous Building 20. MIT inadvertently anticipated the cross-cultural and cross-disciplinary collaboration that is a hallmark of the open source community. Its legendary Building 20, one of the first examples of what we would now call a co-working space, gave rise to some of the most important scientific advances of the 20th century. The environment that started in Building 20 nearly 80 years ago is surprisingly similar to today’s collaborative workspaces where open source developers eke out big-time innovations of their own. Read more about building your own collaborative developer environment. Building 20 was originally constructed as a throwaway workspace for wartime research and development. The building was solid, but intentionally temporary, so school officials paid little mind to what research teams did with the space itself. After the postwar boom in student enrollment, the building became a hub of interdisciplinary study and collaboration. Researchers began reshaping the building’s very structure to meet their needs: knocking out walls, turning every available surface into a research lab, and (most important) creating the kind of environment where ideas and information could freely flow. Learn why flexible platforms are the key to enabling a multi-language development environment in the cloud. The collaborative workspace, sharing of ideas, and lack of traditional structure had a huge impact on many of the students and researchers who used Building 20. Noam Chomsky, perhaps the best-known resident of Building 20, described the environment thusly: “[Building 20] looked like it was going to fall apart. There were no amenities, the plumbing was visible, and the windows looked like they were going to fall out. But it was extremely interactive. You would walk down the hall and meet people and have a discussion.” In fact, there was no choice but to have a discussion—many of which would lead to disciplines reshaped, and ideas fomented into products. Noam Chomsky, Renaissance man and linguistic trailblazer. Chomsky did much of his work in revolutionizing the field of cognitive linguistics while a resident of Building 20. He took full advantage of the interdisciplinary and collaborative co-working environment to apply methods from biology, psychology and computer science in recasting the study of language development. Jim Williams, rock-star analog designer. Williams honed his complex craft in his Building 20 electronics lab for more than a decade. Williams was originally employed to repair equipment for MIT. Shaped by the creative freedom of the physical plant, he soon developed his own laboratory, and the collaborative space led to him teaching other students and scientists; eventually, Williams became an instructor at the school. He would go on to author more than 350 publications on analog electronics, becoming one of the leading analog engineers in the world, while elevating the study of analog circuits to an art form. Amar Bose, acoustics pioneer. Bose went on to found Bose Corporation, having conducted his research on loudspeakers in the ever-forgiving building. He took advantage of the malleability of the structure to create a perfect test lab in which to engineer the best acoustics that would fit into a living room speaker. Building 20 was finally demolished in 1998, but its spirit and legacy lives on. Anytime people—developers or otherwise—need to collaborate, the right kind of environment can make the difference between innovation and stagnation. Devs can create the kind of innovative workspace that Building 20 fostered. The right cloud computing solution can help them build exactly this kind of environment, with the ability to work quickly and collaboratively, to take advantage of prebuilt toolsets, and to run the applications they want to run. Allowing people to be playful, creative, and collaborative enabled people like Bose and Chomsky to flourish. It can enable open source developers to do their greatest work, too. Capture the spirit of Building 20 for your dev teams with the free eBook.